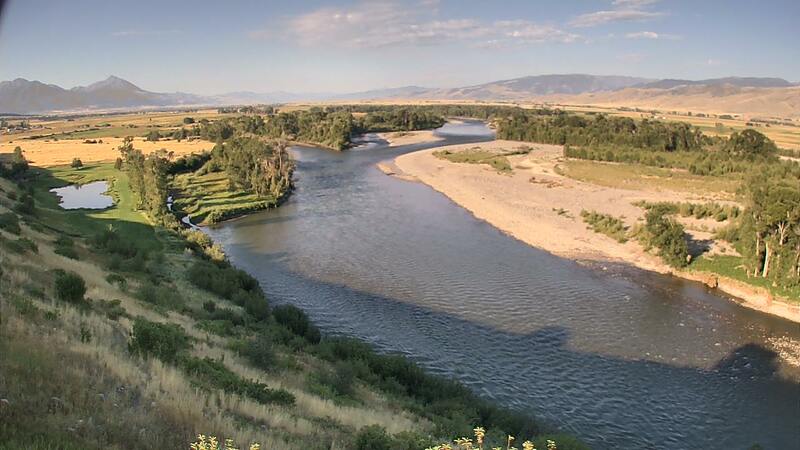 It has been a busy week on the Yellowstone river. Sunny days and the holidays put many people on the water to fish as well as pleasure float. Although the river hasn't cleared up, it is dropping and beginning to look more and more green each day. We are still waiting for the flows coming out of Yellowstone Lake to drop below 5,000 cfs for clearer water to start flowing through the valley. Flows near Corwin Springs are currently at 9,470 cfs and 9,140 cfs in Livingston. Although the river is certainly improving, we do believe that these flows will sit still for a little bit because the Lake is still so full. This morning the river had about a foot of visibility at 26 mile. The fishing has been okay, and people are certainly out and trying to work the river. There has been a steady increase in trailers at the boat ramps as the word has gotten out that fish(as well as MOSQUITOS) are biting on the Yellowstone. There are currently salmon flies throughout the upper river, although lack of clarity is making dry fly fishing a little tough. Success has come by anglers fishing single dries hard on the banks. Size 4 and 6 salmon fly patterns are convincing some fish to rise under the willows, while others are having luck on rubber legs, mega princes, zirdle bugs and other attractor nymphs. There have also been solid hatches of caddis in the evenings with a small mix of green drakes throughout the day. Don't be afraid to fish some dark streamers as well. All in all, the river still has a good way to go. We still have not put guide trips on her yet, however we will be in the coming days. We understand that everyone is excited that the river is coming back into shape, however it still is a BIG river at just under 10k cfs. There are certain to be new features created by debris following this big water year, so please be careful when floating. Make sure you know the sections you're floating and feel free to ask us here at the shop for any advice regarding float trips. We will continue to update our river reports as the river drops and clears. It is only a matter of time before the river is back in great shape!